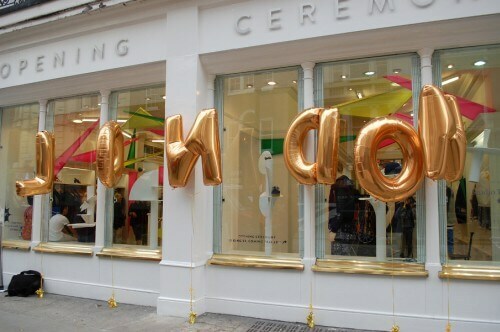 You know what to look for in balloon letters and where to get them at the best price. Now it's time to wow your guests with a professional display. 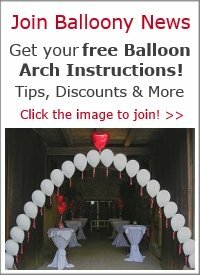 Tip: Find a shop that sells inflated foil balloons in your local area, or a professional balloon decorator and ask them if they could inflate the balloons for you, either with helium or air. This is an easier and cheaper solution than buying the necessary resources yourself. First you need to decide whether you want to fill the Megaloons (as the most common brand is called) with helium or air. 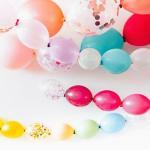 Helium filled balloons are easier to arrange, as they float. 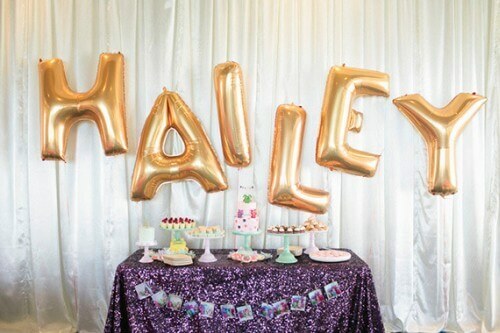 On the downside, the cost of helium is quite high... and you need a lot of it to fill the giant letters or numbers. 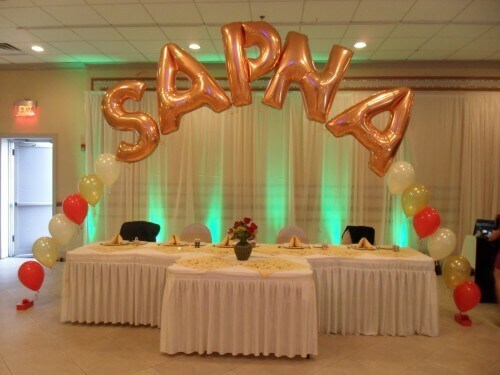 A disposable helium tank for 50 x 9 inch latex balloons fills only two to three balloon numbers or letters. The cost for one tank is about $50. Filling them with air isn't that easy either, as you will need an electric inflator with a special nozzle, or a specific device for inflating foil balloons with air, called a "Foil-Flator" (price about $45). This AGPtek Double Nuzzles Inflator works for both latex and foil balloons. It's got great reviews at Amazon. For this method, you would fill them with air. The most tricky part is to find a way to attach the fishing line to the ceiling. 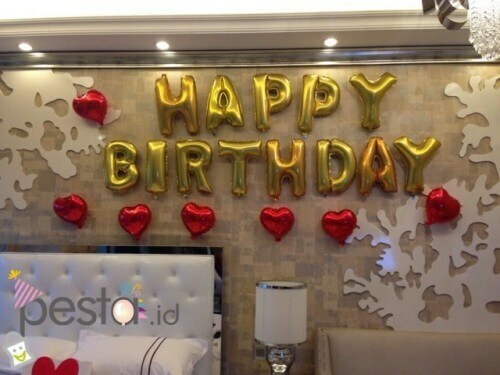 Many balloon decorators use 3M removable hooks or tape to do this. As the fishing line is almost invisible from the distance, the letters will look like hanging in mid air. Attach the letters or numbers to a fishing line that spans between two heavy weights. 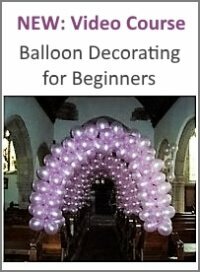 For step-by-step instructions how to do this, please look at our balloon arch page. 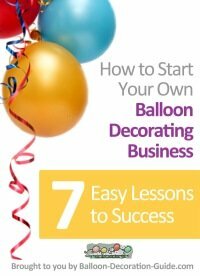 Attach each helium filled Megaloon with a string or fishing line to a balloon weight on the floor or on a table. You can either buy ready made weights or make them yourself, following our instructions for a sand filled table base. This type of base would be heavy enough to keep your letters in place. The fourth and final method for decorating with Megaloons is to attach them directly to the wall. This is another air-filled decor type. The easiest way to stick them to the wall and make them stay there is using a product called "Glue Dots." Make sure to choose the removable ones unless you want to keep your decoration there for ever!